And it was all because of your voting. 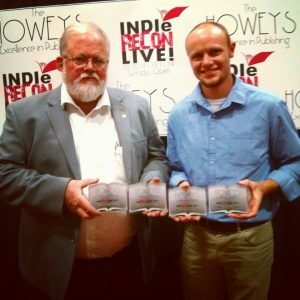 Thanks to your hard work, we brought home not one, not two, but FOUR Howey Awards from IndieReCon — more than any other book or author! So, without further adieu: thank you, thank you and thank you again. I have the greatest fans in the world and owe all the success I enjoyed this past weekend to your dedication This is as much your accomplishment as it is mine. 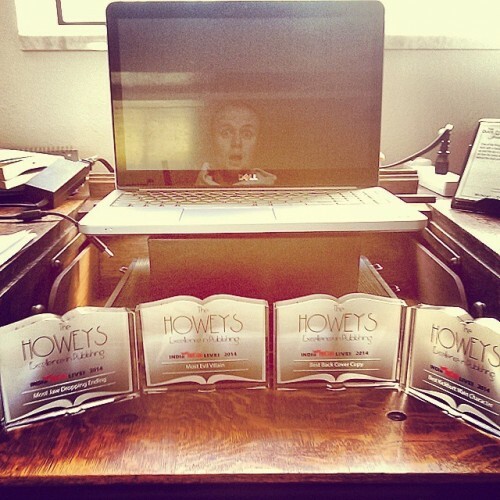 As promised, I’ve prepared four, 1,000 word sneak peeks from Return to Shadow for each category won. You can download them in PDF format at the links below. Please note that all are first drafts, so you’ll have to excuse any typos or other errors that will be cleared up by subsequent revisions. I’d love to hear your feedback after you read them. So, for one last time, THANK YOU and enjoy! So So proud of my Grandson!! !